I am writing after a lovely long weekend of consecutive days of running. On Saturday, I ran a 5K that was very hilly, but quite beautiful. Sunday was my typical trail run, with two laps around the lake. Yesterday, I did a 3 mile tempo run around the neighborhood. As much as I love and prefer trails, I am trying to do at least one or two runs a week on roads, so that my joints are acclimated to both surfaces as I train for the half. Weather in northwestern Washington this month has been unseasonably mild and sunny. A silver lining of climate change, I suppose. Currently mulling over whether or not to run a trail 10K race on a nearby mountain this Saturday. I have until Thursday to register. The spontaneous part of me wants the experience, but I am also a bit cautious of damaging my knees. We will see! 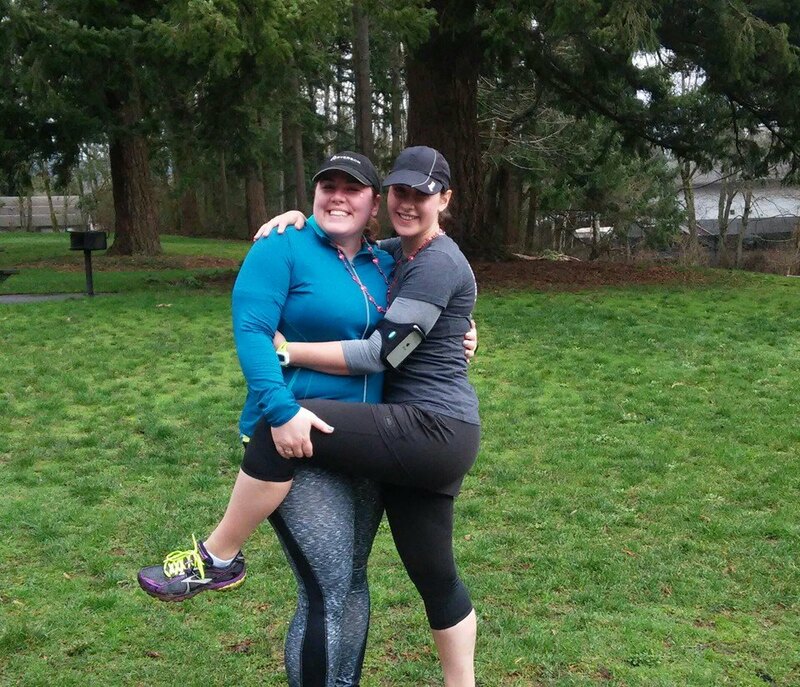 The best day to celebrate Valentine’s Day is to run with people you love!